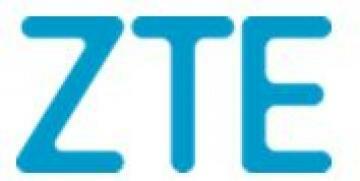 SHENZHEN, CHINA—ZTE Corporation (0763.HK / 000063.SZ), a major international provider of telecommunications, enterprise and consumer technology solutions for the Mobile Internet, officially released TECS 6.0, the new-generation Cloud Platform, at the OpenStack Summit Sydney. Based on the latest OpenStack Pike, TECS 6.0 features cloud native microservice architecture and edge DC design. It also employs FPGA hardware acceleration technology and boasts powerful ICT convergence resource orchestration capability. -The microservice PaaS platform provides cloud native applications with powerful continuous development and delivery capability, enabling service release in minutes. -The MEC-based (Multi-access Edge Computing) edge DC solution is featured with lightweight All-in-One resource pool in the edge DC and unified management in the center DC. -The hybrid cloud solution provides resource convergence and unified O&M for IT cloud and CT cloud, bringing a network infrastructure platform with lower cost and higher efficiency. OpenStack is the mainstream open source software developed to produce a ubiquitous Open Source Cloud Computing platform that is easy-to-use, simple-to-implement, and interoperable across all scales. In addition, it meets the needs of users and operators for public and private clouds. As a gold member and major contributor of OpenStack Foundation, ZTE is committed to promoting the evolution of OpenStack. In the latest OpenStack Pike release, ZTE ranks No.3 in completed Blueprints. ZTE plays the role of Project Team Leader (PTL) in Murano and Solum projects as well as the Core contributor in 9 official projects, such as Zun. As a leading provider of network cloudification, ZTE cooperates with global telecoms operators including VEON, velcom and Telefonica. So far, ZTE cloud products have been deployed in over 280 commercial/POC projects around the world. In terms of technology innovation and architecture evolution, this newly-released TECS 6.0 addresses the demands of mobile networks and new services in the 5G/IoT era, and fully supports the reformation and development for telecom operators and vertical industries.